Helping others get a 21st century education means learning English in Cambodia and how to use computers and the internet. 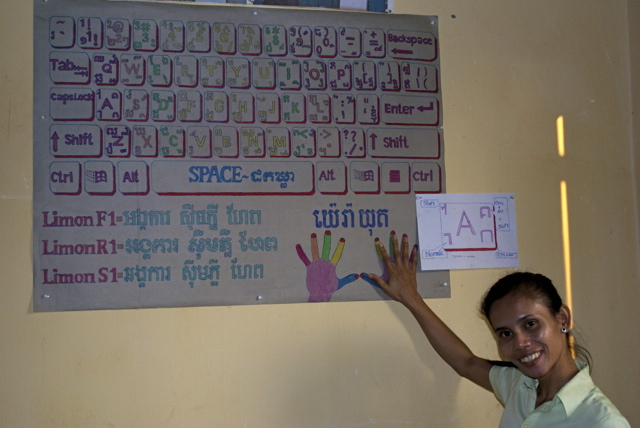 Our projects supports the salary of a Technology and English language teacher. We are also responsible for internet and electricity bills as well as buying and repairing or replacing computers. Thanks to your donations we currently have seven working computers. We are raising funds to buy more internet data time, upgrade software, and replace keyboards and mice as they break down in the dusty climate that is rural Cambodia. Please donate here if you’d like to help us continue to maintain and expand the tech programs. We are very grateful to our amazing Tech and English teacher, Mrs. Phala Ol for her dedication and excellent teaching. 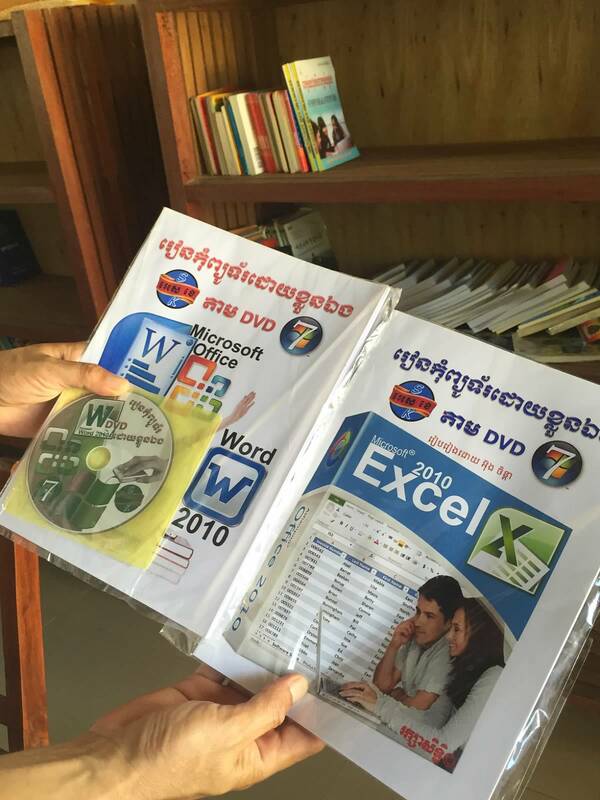 Our students have been learning practical computer skills like Excel, Word and Powerpoint. In 2016, Phala Ol, created official certification for all graduating 9th graders to help with securing jobs. To give you an idea of how unusual it is for a rural middle school to have teaching computers, please know that most of our graduating seniors attend a large high school (5 miles away) that has no computers or tech education. 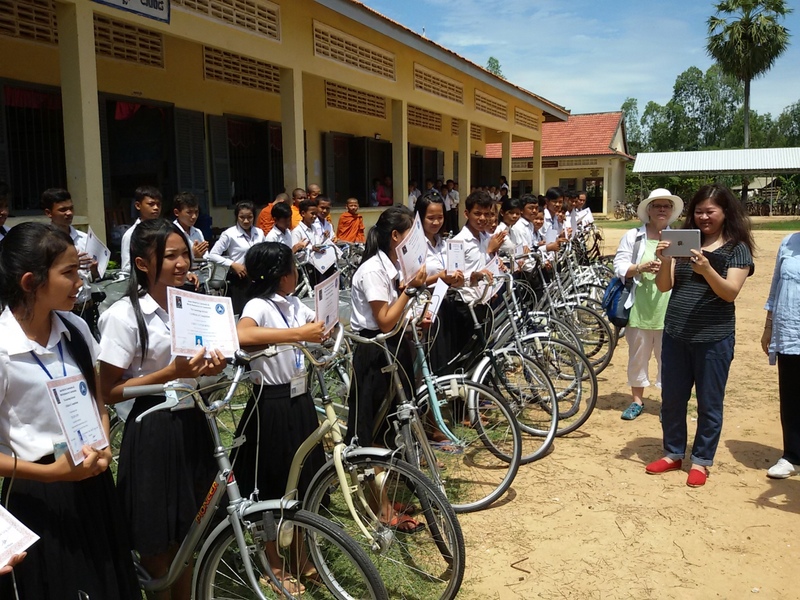 Graduating seniors receive a new bike and a certificate qualifying their technological education. The electric grid was extended to our rural village in Kauk Rovieng in 2014 and thanks to your support, our electric-powered computer lab is working much better than the former solar-powered one.